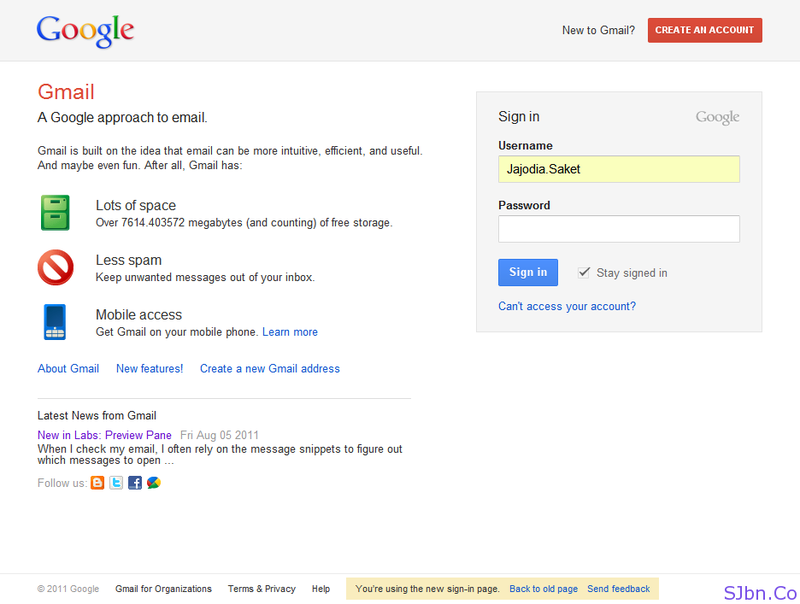 Today in this post I will show you Gmail new login page. Just now when I was going to check my email I show some text at bottom of the page which says Coming soon: A new sign-in page! Preview it so I clicked on Preview it link and show Gmail’s new login page which is similar to Google+ interface and Gmail’s two new theme Preview. If you didn’t like the new Gmail login page design you can switch back to blog design but only for limited time. 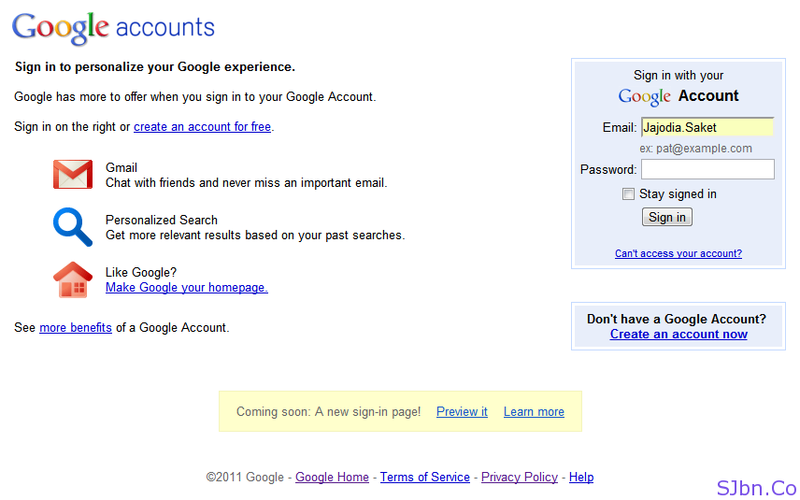 Google will soon change there all products (like Gmail, YouTube, and Google Docs) login page which will almost look like this.